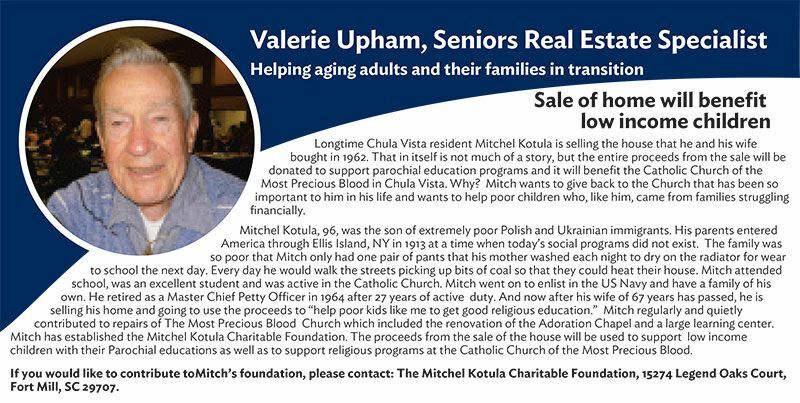 “From a Distance- I needed to sell my dad’s house from about 460 miles away, and was very worried how it would all get done. The house needed paint, repairs, windows, new carpet, landscaping, staging, termite work and Valerie handled everything long distance to get the house ready to be listed. 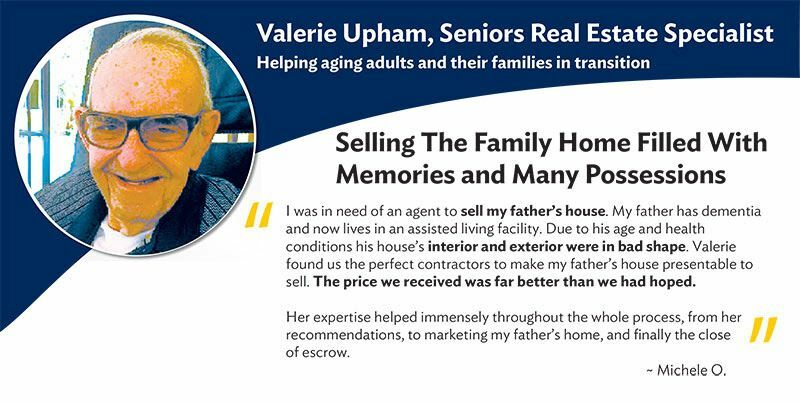 "Valerie did a great job selling our folks home! 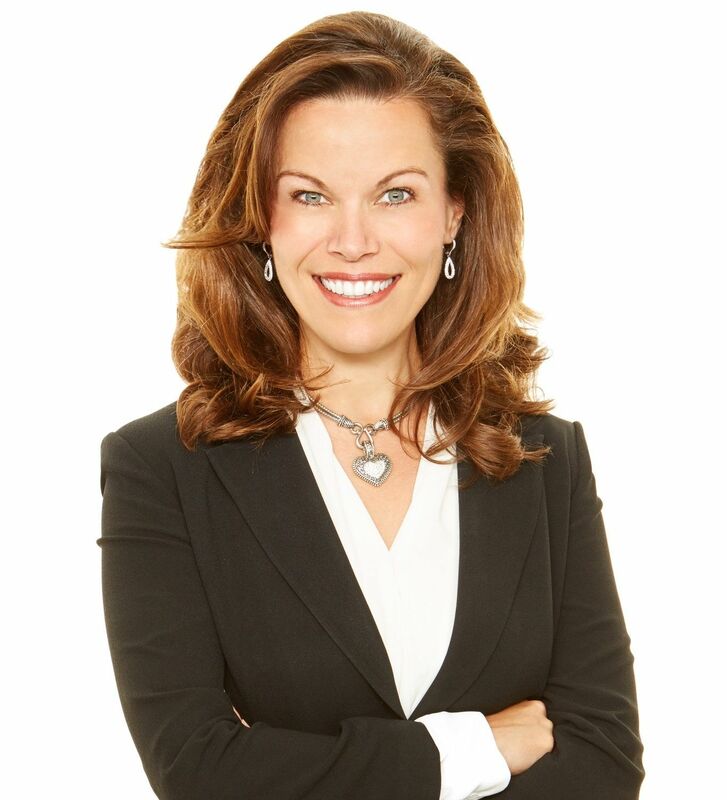 Her marketing expertise, business acumen and savvy advice all proved essential in us getting our best price. Everything went very well and we couldn’t be happier with the results. Valerie really knows her stuff! Plus she was just a pleasure to work with!" 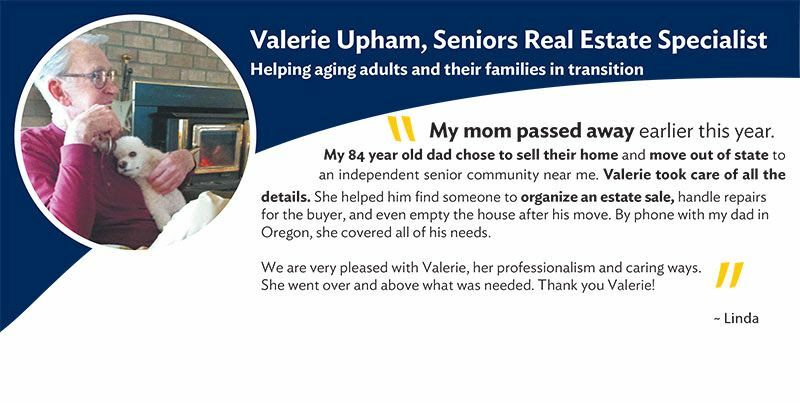 "I would like to say that Valerie Upham has been an excellent realtor to us. She has been very helpful and has gone above and beyond what would be required in her position. With the mileage difference of almost 3,000 miles, she has had to handle many things that would have been much easier if we were there in LaMesa. Please know that we appreciate all she has done and feel that you have a very good employee in Valerie."